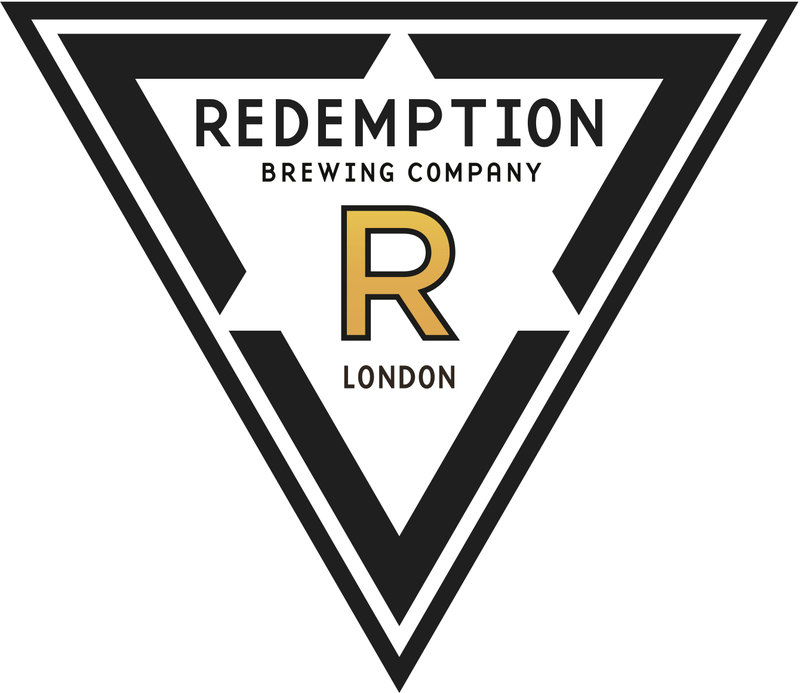 Stoke Newington Literary Festival gets its own exclusive beers – got a name for them? Last year my wife Liz, AKA the redoubtable Beer Widow, created the first ever Stoke Newington Literary Festival. Somehow, it worked, and it was a truly great event, so this year it’s happening again, from 3rd to 5th June. The line up includes ex-Bond villain Steven Berkoff, Johann Hari, Alexei Sayle, Jon Ronson, Howard Marks, Matt Thorne, Dan Cruikshank, Stella Duffy, Rowland Rivron, BBC 6 Music’s Shaun Keaveny, and of course a nepotistic beer and book matching talk from me. You can get more details and buy tickets for all events from here. Like last year, I’ve been putting together ‘Pete’s Bar’ featuring a range of tastefully selected drinks donated by very wonderful sponsors including Budvar, Quilmes, Thornbridge and Hendrick’s gin. But this year we also have two unique beers thanks to our local brewers. 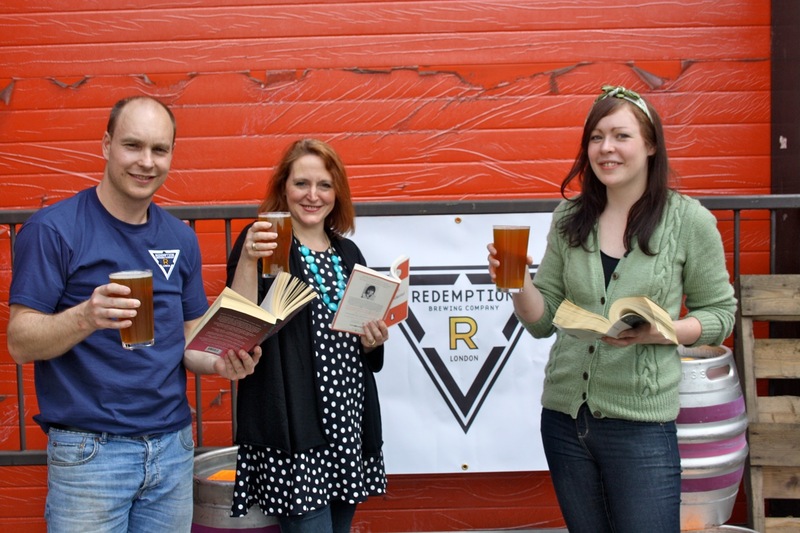 L-R: Nice Andy from Redemption, The Wife, Emma, Beer Queen of the Butchers, pretending to read book. Really drinking beer. Today, we’re launching a competition to come up with a linked pair of names for these two sibling beers from different breweries – one light and refreshing, the other hoppier and bigger in flavour, both gorgeous, both perfect to accompany a summer’s weekend spent feeding your brain. Andy at Redemption, James at Brodies, Emma at The Jolly Butchers and I will judge the names and award a host of beer and literature-inspired prizes, including 2 free tickets to my Beer & Book Matching event on Sunday 5th June, the chance to pull (and drink) the first few pints and signed copies of my Beer Trilogy: Man Walks into a Pub, Three Sheets to the Wind and Hops & Glory. Suggestions should be sent to info@stokenewingtonliteraryfestival.com, @Stokeylitfest on Twitter, or via the festival’s Facebook page, where you can also receive updates about the festival and other beer sponsors. Competition closes 5pm on Friday 27th May. Just one word: 'redoubtable'? That's nearly 'resplendent'. Absolutely, Sid – we haven't asked him along to the Festival to talk to us about playing General Orlov. Daniel Defoe lived in Stoke Newington. So how about, Moll Flanders and Robinson Crusoe for beer names? Here's some names for the new StokieLitfest beers….. Both are anagrams of Stoke Newington. I also quite like 'Notes Keg In Town', 'Ken's Tent Wooing' and 'Ken's Townie Tong'.